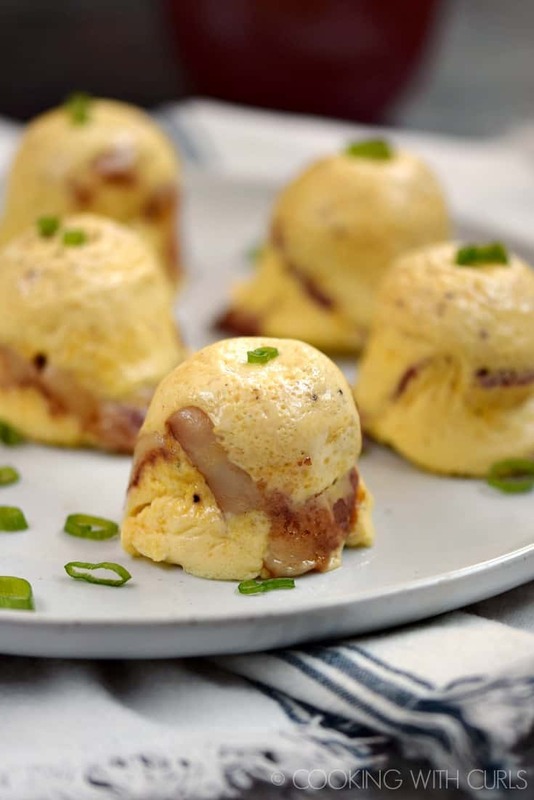 Start your day off right with these easy to make, easy to take Instant Pot Bacon-Cheddar Egg Bites! I am completely fascinated by egg bites. The texture, the fun shape, and how easy they are to make. There are a few steps, and you will need to clean a few dishes afterwards, but they are totally worth it…at least in my opinion….. 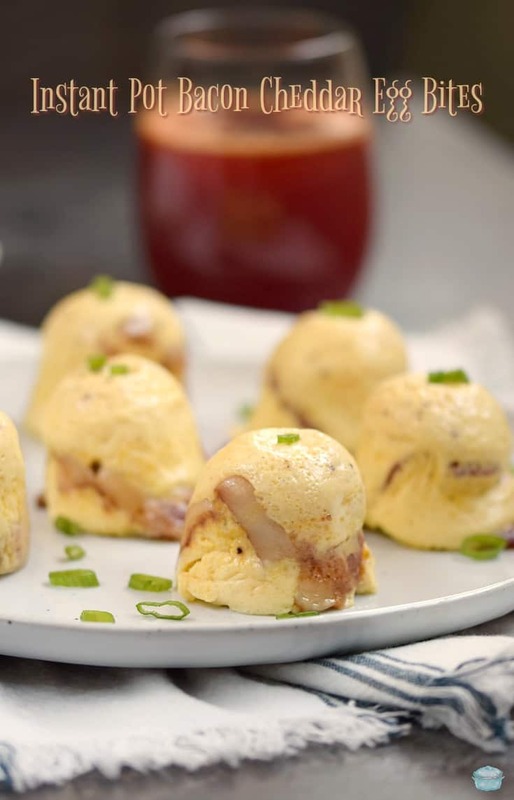 I made Instant Pot Egg Bites a couple of weeks ago and L-O-V-E-D them! That version has Gruyere and spinach, so they are green and look kinda funny, but they are delicious. 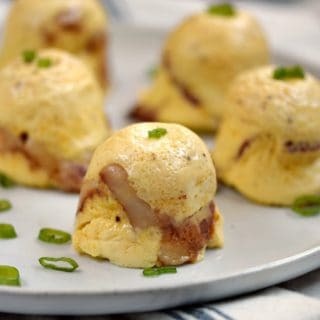 Next up I needed to try my favorite breakfast combination, Instant Pot Bacon-Cheddar Egg Bites and I am so glad that I did!! 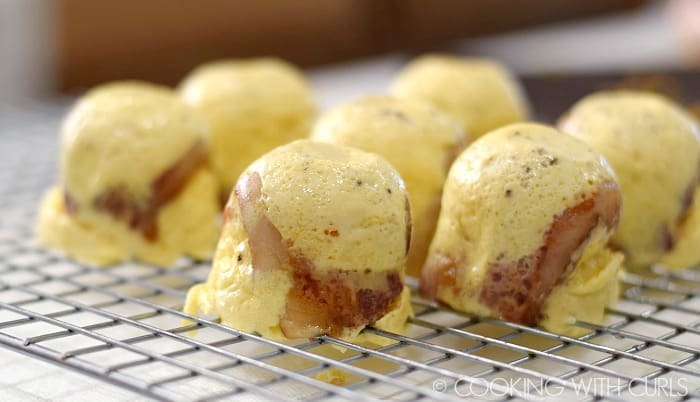 These are not an exact copycat of Starbuck’s Sous Vide Egg Bites, in fact I have never even tried those. Starbuck’s version is made with cottage cheese, which is a no-go for lactose-intolerant me. Theirs are also made with egg whites, but I went with whole eggs for the added protein since we are skipping the cottage cheese. 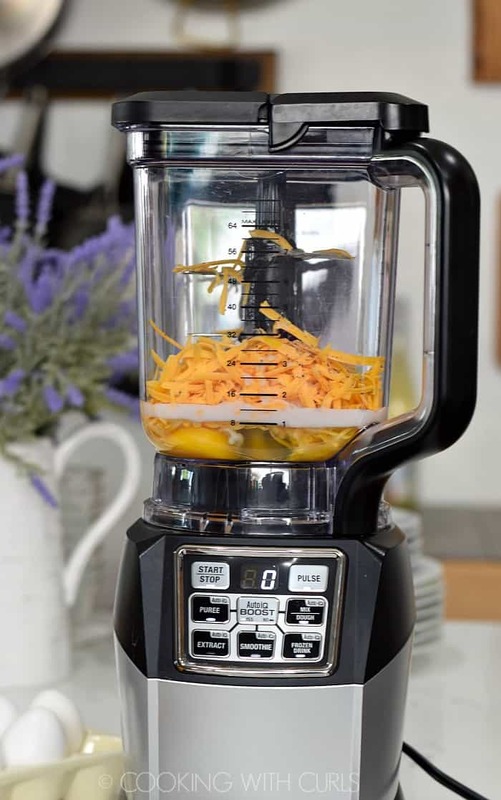 Add the eggs, milk, grated cheese, and pepper to a blender and blend until smooth…..
Spray the egg bites silicone mold with cooking spray or coconut oil. 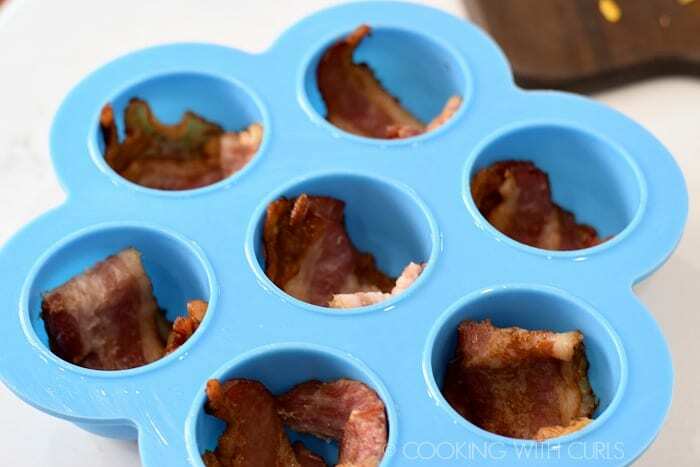 Fold one slice of cooked bacon in half and place in each of the 7 egg mold cups………. Divide the egg mixture between the cups…..
Wrap with foil or place the plastic lid on top of the silicone egg mold. Do not completely secure the lid, just lay it on top. Pour 1 cup of water into the liner of your pressure cooker and add the trivet. Carefully place the filled silicone mold on top of the trivet. Secure the lid, make sure the steam knob is in the “Sealing” position. Press the “Steam” button and adjust the time to 8 minutes using the + and – buttons….. When the pot beeps, allow the pressure to release naturally (about 5 to 10 minutes). 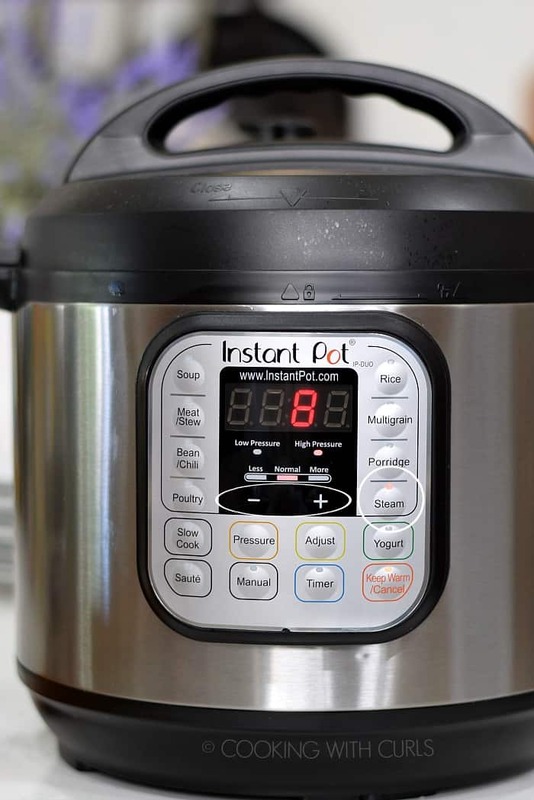 Carefully remove the Egg Bites from the Instant Pot and allow to cool for a few minutes….. They are very puffy, but they will shrink as they cool…I promise! Before turning out onto a wire cooling rack….. Hold the mold over the wire rack and gently push the egg bites out. If you hold it at an angle or press too hard, you may end up with cracks. Serve immediately or store in the refrigerator for up to a week. 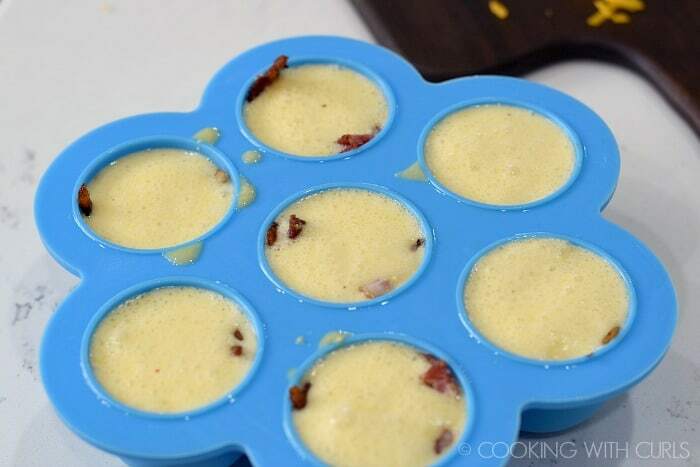 You can also freeze them for up to a month.…..
As you can see, the bacon did not remain at the bottom of the egg bite cups. 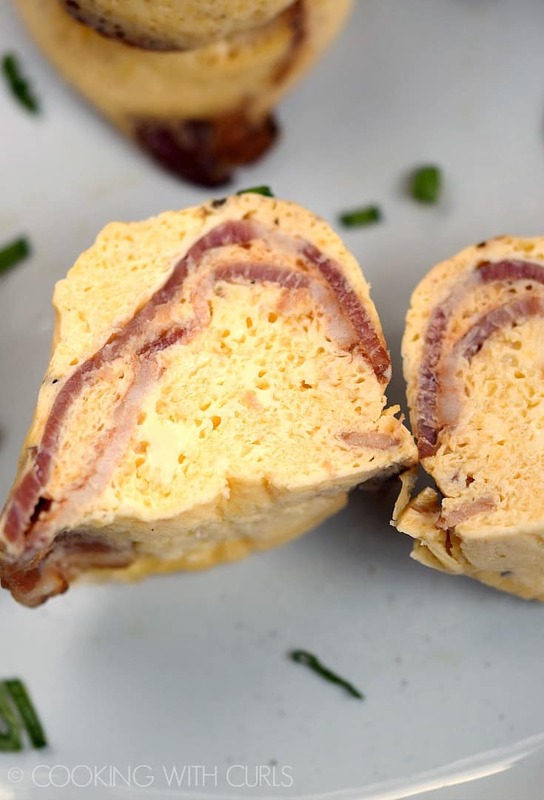 This is actually a good thing, with the bacon in the center you get a better ratio of egg to bacon in each bite! I used Unsweetened CashewMilk, but whole, 2%, or coconutmilk would also work. Look for a Sharp Cheddar that has been aged more than 9 months for lactose-free, or choose your favorite cheese. Gruyere would also be an excellent choice with the bacon. Bacon is very salty, so I did not add additional salt to the recipe. You could also chop the bacon into smaller bite-sized pieces instead of leaving it whole if you prefer. 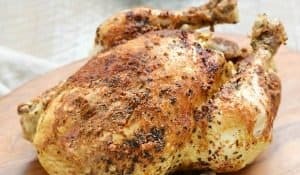 WHY DO YOU BLEND YOUR INSTANT POT EGG BITES? Starbuck’s version is described as having a “light and springy” texture. Part of that is because of the cottage cheese, the other part is the air that is added when blending as well as getting all of the ingredients pulverized. There are no chunks in these egg bites! Classic Quiche Lorraine – this one is baked, and it’s a good way to use up the rest of that Gruyere! Silicone Egg Bites Mold – I bought two just in case I want to double the recipe next time. 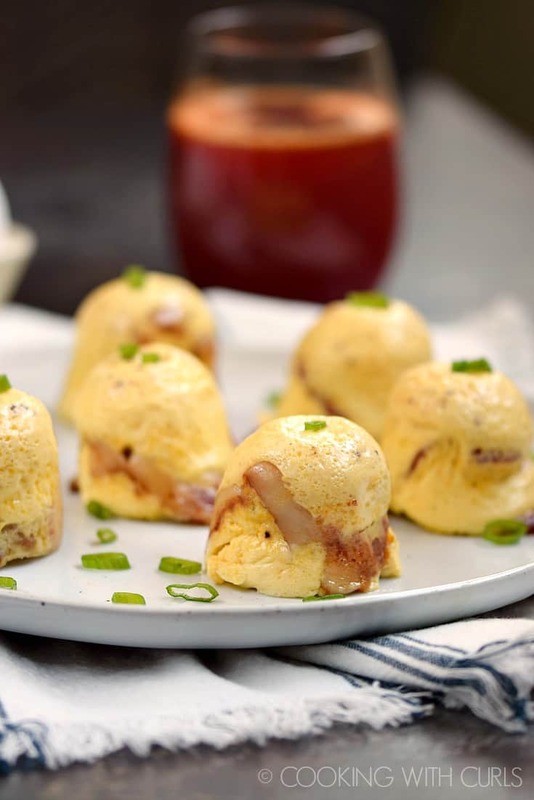 Start your day off right with these easy to make, easy to take Instant Pot Bacon-Cheddar Egg Bites! Add the eggs, milk, grated cheese, and pepper to a blender and blend until smooth. Spray the egg bites silicone mold with cooking spray or coconut oil. 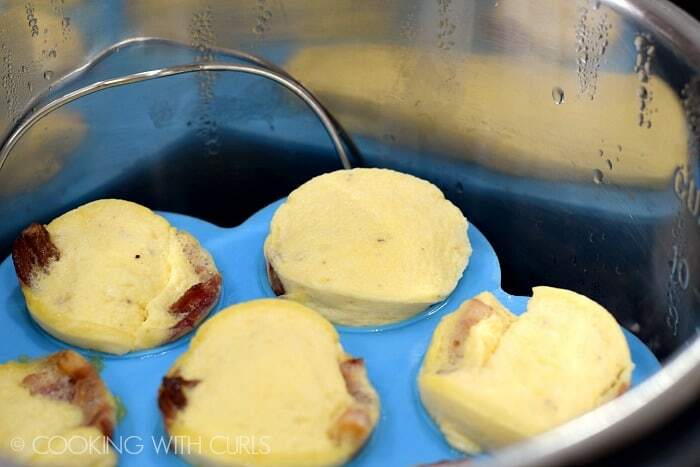 Fold one slice of cooked bacon in half and place in each of the 7 egg mold cups. Divide the egg mixture between the cups. Secure the lid, make sure the steam knob is in the “Sealing” position. Press the “Steam” button and adjust the time to 8 minutes using the + and – buttons. When the pot beeps, allow the pressure to release naturally (about 5 to 10 minutes). 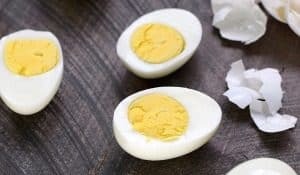 Carefully remove the Egg Bites from the Instant Pot and allow to cool for a few minutes before turning out onto a wire cooling rack. Serve immediately or store in the refrigerator for up to a week. 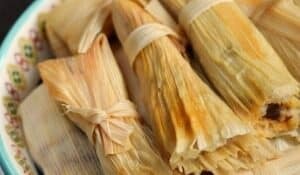 You can also freeze them for up to a month. The nutritional breakdown is calculated with whole milk and regular bacon. It says “Do completely secure the lid, just lay it on top.” Does that mean secure the lid or just lay it on top? TIA! Ooops, sorry about that! Just lay the plastic lid on top. Do you cook the egg bites with the plastic lid on top in the IP? Sorry still new at this. Can you use the Egg button or do you have to use the Steam button? I have never used the egg button Brigitte, but it should work.